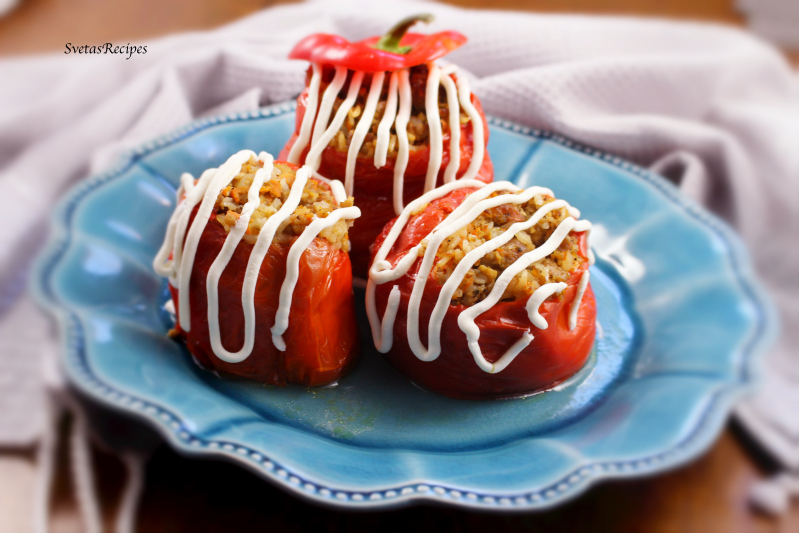 These stuffed peppers are juicy, tasty and fit in your mouth just right, why not give them a try. They are not very quick to make but worth it in the long run. 1.) Wash and dry all of your vegetables. Also wash your rice 4 times under cold water. 2.) Place your meat into a large skillet. 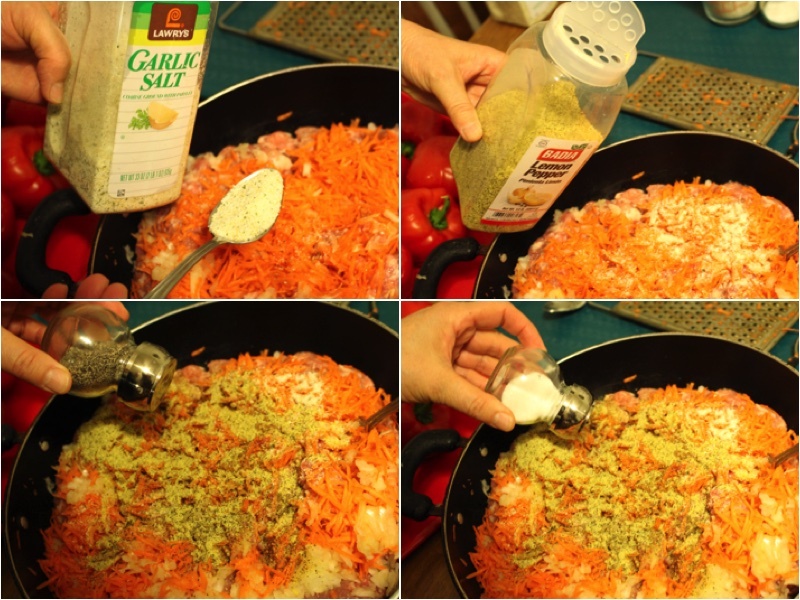 Add shredded carrots, olive oil and shredded onions. 3.) Add your seasoning to your skillet. Mix well and Sauté for 10 minutes. 4.) Cut the tops, remove the seeds and the center stem. Add your rice to the meat mixture, sauté for 10 more minutes while mixing frequently. 5.) Spray your baking pan with cooking spray. 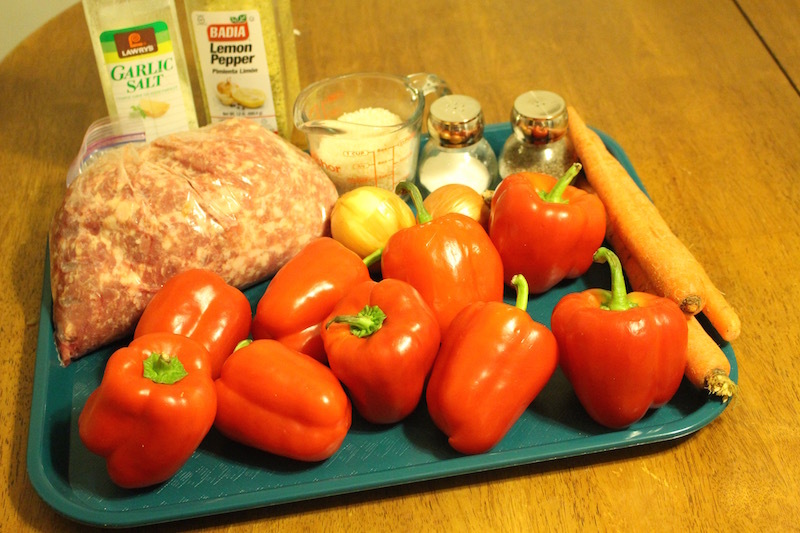 Using a teaspoon add small portions of your meat mixture into your pepper until you fill it to the top. 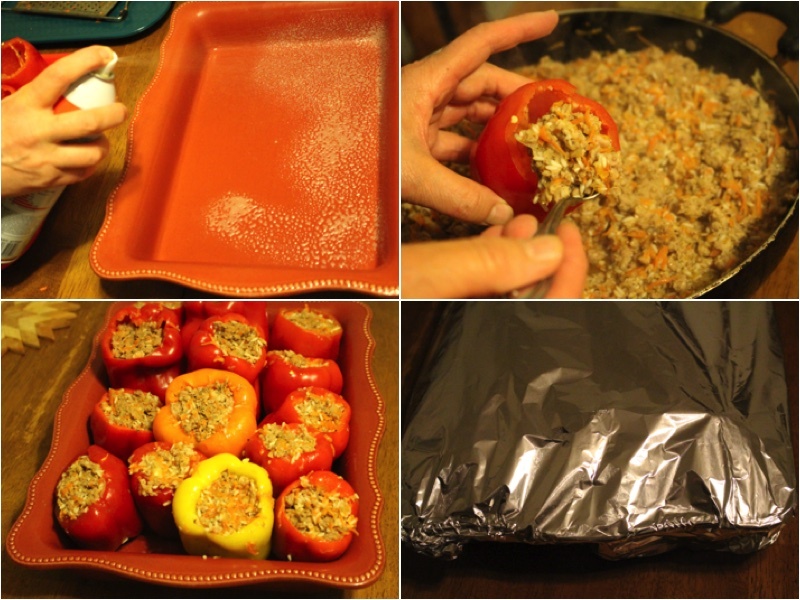 Next place it on your sprayed baking pan, cover the top with tin foil and sauté for 1 hour and 30 minutes on 350F. Lastly place your meal on a dish and server to your guests! Wash and dry all of your vegetables. Also wash your rice 4 times under cold water. Place your meat into a large skillet. 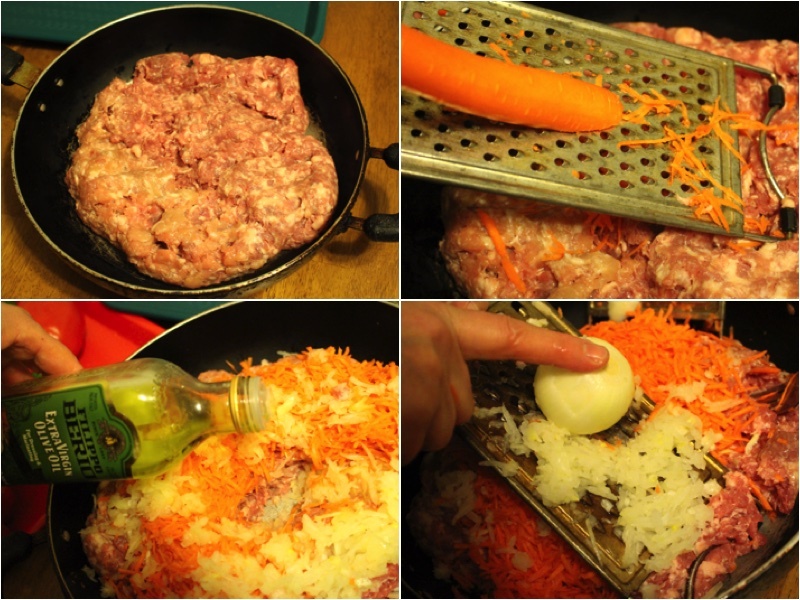 Add shredded carrots, olive oil and shredded onions. Add your seasoning to your skillet. Mix well and Sauté for 10 minutes. Cut the tops, remove the seeds and the center stem. Add your rice to the meat mixture, sauté for 10 more minutes while mixing frequently. Spray your baking pan with cooking spray. 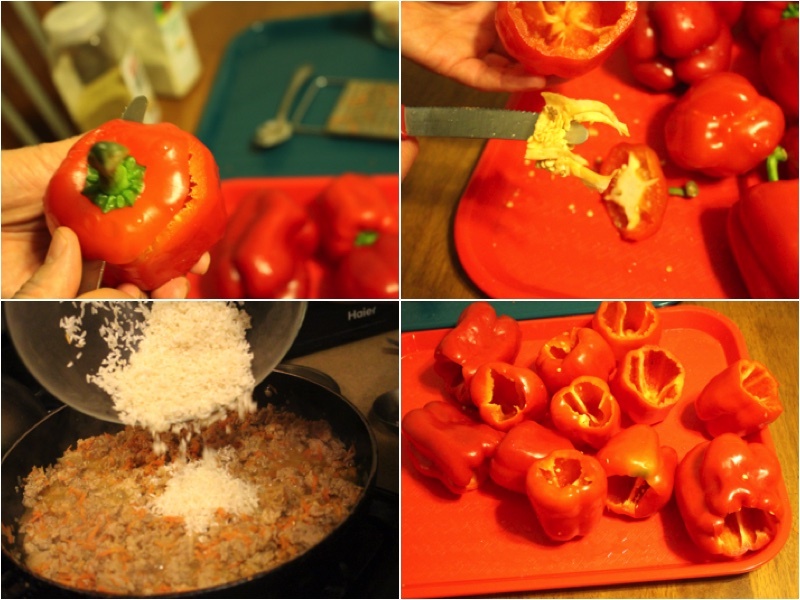 Using a teaspoon add small portions of your meat mixture into your pepper until you fill it to the top. Next place it on your sprayed baking pan, cover the top with tin foil and sauté for 1 hour and 30 minutes on 350F. Lastly place your meal on a dish and server to your guests!